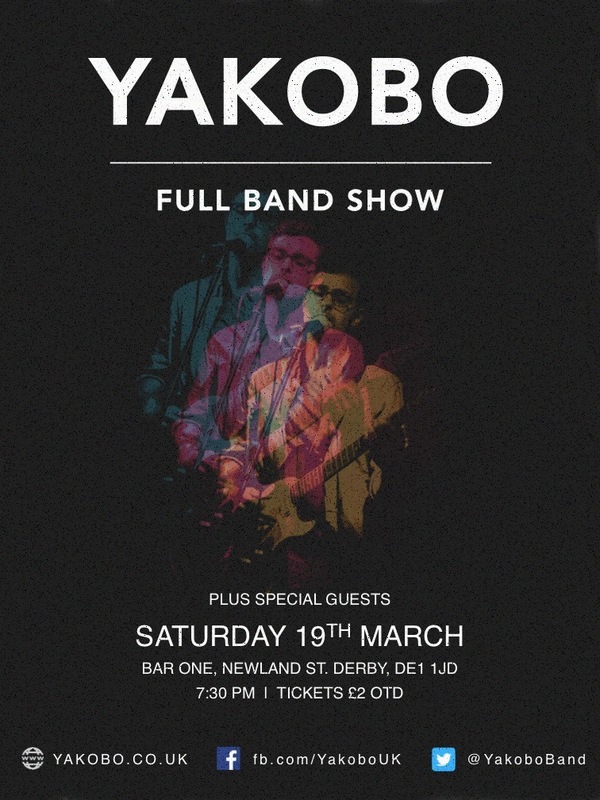 Yakobo will be returning to Bar One, Derby on 19th March for a special one-off show accompanied by a full band. This is the first Yakobo show with a band in 2 years, and it will be the first time recent songs such as Dawn Is Here and Mayflower have been performed in this way. Yakobo will be headlining, with some top-notch support acts to be confirmed shortly. All this for the bargain price of £2 on the door, or free to anyone who backed Yakobo on Kickstarter last year.